What Impact Does Returning to Federal Service Have on Your Annuity? What if you retire and miss your job? “Not likely,” you say. Believe it or not, some federal retirees return to work for the federal government after they have retired. If you don’t think that you will ever do such a thing, you don’t need to read any further. If you think that you might return to federal service, or are simply curious, read on. This article is not about phased retirement; it is about returning to federal employment after you have already retired. By returning to work part-time under the provisions of a 2009 civil service law. There is a legal prohibition against receiving “dual compensation” from the federal government (e.g., receiving both your pension and a full salary from a government job). The prohibition can be waived in certain situations, and has been repealed for certain approved part-time work. If you are returning to a non-waivered position (i.e., a position that has not received a waiver of the prohibition on receiving dual compensation, or is not approved part-time work), you cannot receive both your pension and the full salary for the job. You will continue to receive your pension, but the salary of the job to which you return will be reduced dollar for dollar by the amount of your pension. If you make retirement contributions during this period of re-employment, you can become entitled to additional annuity payments. 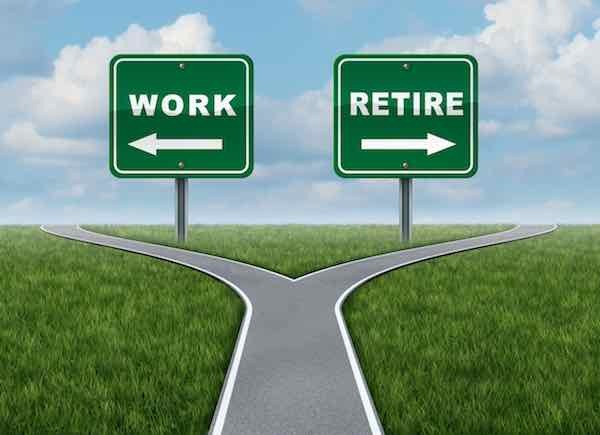 If you remain as a re-employed annuitant for more than one year, but less than five years, you will, upon your “re-retirement”, become entitled to a supplemental annuity based on that period of re-employment. If you remain as a re-employed annuitant for more than five years, your entire annuity will be recomputed when you “re-retire”. There are special rules for those who retired on discontinued service retirement (not common). When they return to federal employment, their annuity will end. If you are returning to a waivered position, you will receive the full salary for the job and your full annuity. Your period of re-employment will be limited to two years, and you will not earn any additional retirement credit for this period of re-employment. The prohibition against dual compensation is generally waived for special purposes. Currently you may find waivered positions in agencies that deal with national security and counter-terrorism. Earlier, you found many waivers being granted for Y2K issues. An agency cannot allow more than 3.5% of their positions to be filled by part-time workers who are re-employed annuitants. A grand total of 3,120 hours. The rules above apply equally to CSRS and FERS retirees. What Penalties Would I Face If I Retire at 62 With Less Than 20 Years of Service?